Provide us some info on your property – Fill out the form below or a quick call to our Houston office. It’s Easy & Free! If the house meets our criteria, we’ll set up an appointment to come see it – It takes us about half an hour to inspect. We’ll give you our best cash offer on the spot – No pressure or obligation. We arrange to “close” through a licensed title company – Whenever YOU are ready to move. American Home Buyer buys houses all over the Houston Area- including Sugar Land, Katy, Spring, Tomball, etc. We are not realtors and we are not trying to list your house. We actually buy houses and remodel or update them. We pay cash for the homes we buy and do not require any financing or lengthy inspection/appraisal process. You can avoid all the hassles and time of selling your house, by selling it to us AS IS. When we come out to look at your property, we will be prepared to make you a cash offer on the spot. There will be no obligation or pressure. You can then decide if our offer is a good solution for you or not. You can take your time and look at other options, or your can be done with it and sell it to us that day! It usually takes a week or so to close the sale through a title company. But sometimes we can do it in as little as 3 days. Or maybe you need a month or two to move out- we understand that and can close whenever you are ready. 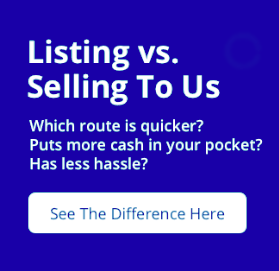 We never charge any fees or commissions for using our service or selling your Home to us. In fact, we will pay all of the closing costs. We will buy the home as is, and do not require financing, inspections or appraisals. This keeps the process simple and quick..
Lastly, you don’t need to repair or clean anything in the house. When we buy your house, we are going to be remodeling and updating. We really don’t care how clean it is! Ready to receive your All-Cash Offer? Sixteen years ago I moved into a townhouse that was built in 1970 and was not in the best shape when I moved in. However, it was the perfect place, at the perfect price, located in the perfect location, for the situation I was in at the time. I NEVER expected to live there for as long as I did, but as you know, time stands still and before I knew it, sixteen years had flown by. Well, my kids grew up, got married and moved out, so I no longer needed a four bedroom townhouse. Plus I wanted to live closer to them and my grandkids. Unfortunately my townhouse was in absolutely no shape to be sold. Although it wasn’t in the best shape when I moved into it, over the years of living there I lost interest and neglected to care for it the way I should have. So, hesitantly I contacted American Home Buyer and immediately felt at ease when I learned it was a Christian organization. I no longer felt they were going to take advantage of me or the situation. Best of all, they didn’t judge!! It was the best decision I could have made and I have absolutely no regrets! Let me tell you, the whole experience, from the beginning to the end, was wonderful. They were a God send – and I honestly mean that. The offer Mika made me on my townhouse was more than fair considering its condition. Mika and his team were patient and supportive while I looked for a new place, never rushing me and even encouraging me when I was ready to give up after losing offer after offer to cash offers. Mika and his team kept me in their prayers for the the right house and when it finally happened, they were genuinely excited and happy for me! I love my new home and I know it would not have been possible without American Home Buyer. If you have a problem home that you want to sell, or if you’re needing to sell in a hurry, I highly recommend American Home Buyer. I can not say enough good things about Mika and the team at American Home Buyer, they are simply the best!